SAS, 7163 Economy Elastic Back Support BlackSAS, Economy Elastic Back Support Black, Item # 7163, Velcro closures and adjustable non-slip shoulder straps provide the ultimate in comfort. 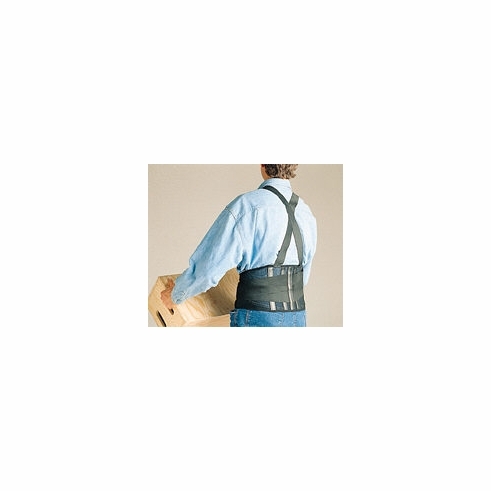 SAS Back Support Belt provides comfortable relief from lower back pain. Made of lightweight, cool, washable nylon, back supports provide broad-based lumbosacral abdominal support. Double-sided pull supports provide adjustability and excellent compression to reduce strain. Velcro closures and adjustable non-slip shoulder straps provide the ultimate in comfort.